Where in Russia do women wear a hijab? The only country in the world where certain items of clothing for women, like the hijab, are at once prescribed and proscribed, depending on the region, is Russia. While Muslim women in France are defending their right to wear burkinis, Iranian women have launched a campaign against obligatory headscarves under the slogan “My Stealthy Freedom.” In both cases, women are protesting: the former for the right to wear what they want and the latter, not to wear what is being imposed on them by the laws of their country. Paradoxical as it may sound, both these campaigns could unite in Russia. According to a report by the American think-tank Pew Research Centre, Russia is the only country in the world that has a religious dress code for women that at once prescribes and proscribes certain items of clothing. The Republic of Chechnya is the only Russian region where women are “strongly encouraged” to wear headscarves. There are no local laws that prescribe headscarves and, as far as the law is concerned, Chechen women can wear whatever they like. However, the reality in this predominantly Muslim republic in the Russian North Caucasus is that a dress code has been enforced for years. 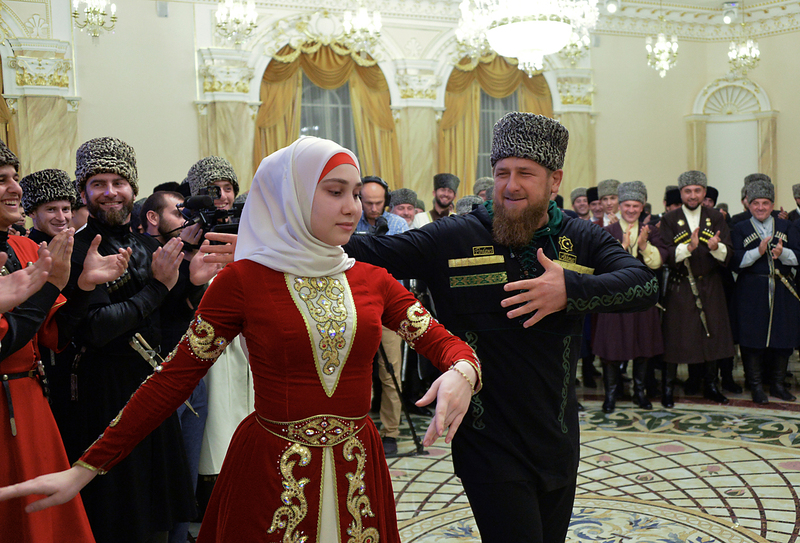 “Over the past decade, Chechnya has been actively enforcing conservative norms of behaviour and dress. Originally they were initiated and enforced by the local authorities, but they do enjoy wide public support,” said Vladimir Sevrinovsky, a Russian expert on the Caucasus and author of a guidebook to the regional capital Grozny. The dress code first began to be imposed in 2006. Chechen leader Ramzan Kadyrov, who then held the post of the republic’s prime minister, publicly stated that Chechen women should not be seen with their hair not covered by a scarf. By 2008, headscarves had become mandatory for female civil servants, public sector employees and teachers. Women are not allowed to enter these institutions without their head being covered. Chechen women whose clothes have violated the Islamic dress code have been, in a number of controversial incidents, shot at with paintball guns in attacks by activists with approval from senior Chechen officials. The activists would drive around Grozny and, when they sighted young women without a headscarf on or wearing a short skirt, they fired at them with paintball guns from their car windows. Periodic campaigns are also held in Chechnya urging women to comply with Sharia norms. Early in 2016, a public organization called Iman staged an event in Chechnya called “Bend to the Creator’s will.” Activists from Iman handed out long dresses and headscarves to female passers-by in Grozny during the event. Sevrinovsky said the dress code needs to be enforced only among middle-aged and older women. “Today’s girls are raised in Sharia traditions from the time they start nursery school, so in future the full hijab, which implies not only a headscarf but generally modest clothes, will become an increasingly more common feature,” he said. The situation in two other regions of Russia, the Republic of Mordovia and the Stavropol Territory, is completely different. Hijabs are banned in schools and universities of both regions. During the scandal in the Stavropol area in 2013, Russian President Vladimir Putin was shown on Russian TV channel Perviy Kanal publicly supporting a ban on hijabs. “There is nothing good about this,” President Putin said. “There are ethnic features in ethnicity-based republics. However, this is not an ethnic feature but a demonstration of a known attitude to religion. Our country, even its Muslim regions, has never had this tradition,” said Putin. The very same year, the Stavropol Territory banned religious clothing. The case in Mordovia reached the Russian Supreme Court which, in 2015 upheld the requirements for schoolchildren’s dress as set by the government of the Republic of Mordovia. In the predominantly Muslim Republic of Tatarstan, however, an ideal middle ground has achieved a compromise which could become an example and a norm for all of Russia. There is no religious dress code for women in Tatarstan. Depending on their religious views, women are free to go out and enter public places either wearing headscarves and long skirts or with their heads uncovered and wearing miniskirts. They are also allowed to be photographed for official documents in headscarves. It would appear that the women in Tatarstan enjoy a freedom of choice that both Muslim women in France and their Iranian counterparts can only envy.